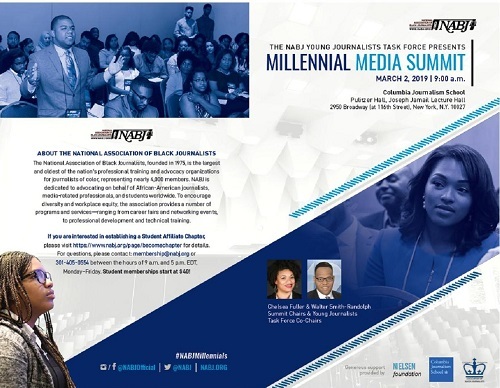 Join NABJ's Young Journalists Task Force for the annual Millennial Media Summit at Columbia University. This year features panelists from Axios, Spectrum News, The Grio, Bloomberg Business and Essence. Our panels include discussions centered around making the pivot from traditional to digital, protecting black women in the age of the #MeToo movement and how to break into political reporting. 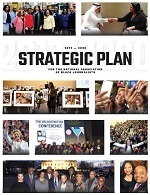 Special thanks to the YBC Board: CJ Stone, Justin Madden, Jennifer Matthews, Kathy Pierre, Marissa Evans, Corrine Lyon, Brittany Noble Jones, Alexandria Ikomoni and Janay Reece. Welcome to the online attendee registration form. 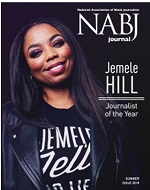 Registering for the 2019 NABJ Region II Conference is now easier than ever. Register Today and Save! Registration fees will include an additional $3 administrative fee during checkout. Columbia University has negotiated rates with several preferred hotels in New York City. Click HERE for the listing.